My second race as a mom is in the books! 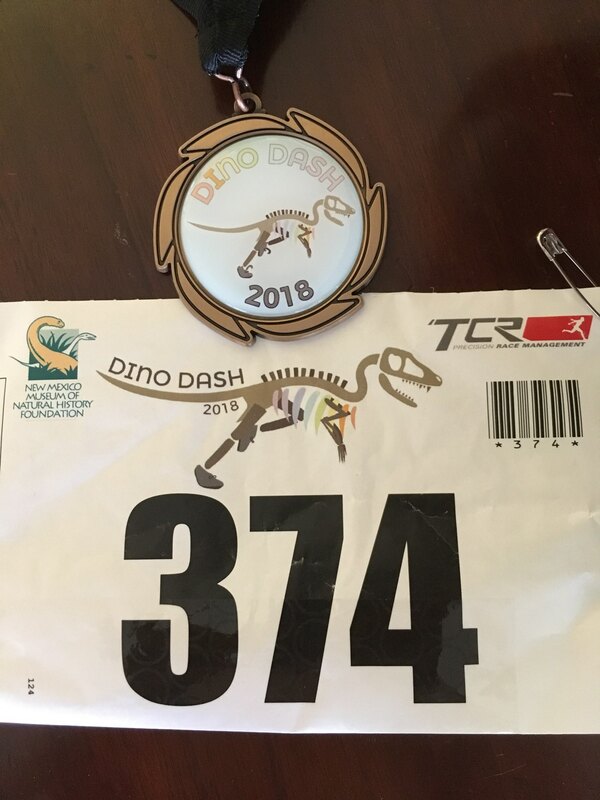 I ran the Dino Dash 5k this past Sunday. Aside from being my second mom-race, it carried additional significance because last year’s Dino Dash was the last race I ran before having Caroline. It was a good race. My last race, the Lavender Run, was an honest effort, but something felt off mentally. Or emotionally. Or cosmically. Doesn’t matter. This race? This felt like racing. Not exactly at my fastest pre-baby pace, but racing nonetheless. After staggering around for a minute, I looked up to see Robin Hood and our dino-baby coming towards me. Best support crew ever, and best sight ever. Note: strollers are fantastic race-day accessories. They hold a surprising amount of running gear and make terrific repositories for post-race refreshments…not to mention their endorphin-boosting little passengers. We cheered on our friends Charity and Yvette as they made their finish line charges, looking awesomely strong and beautiful and inspiring. I love having running friends. 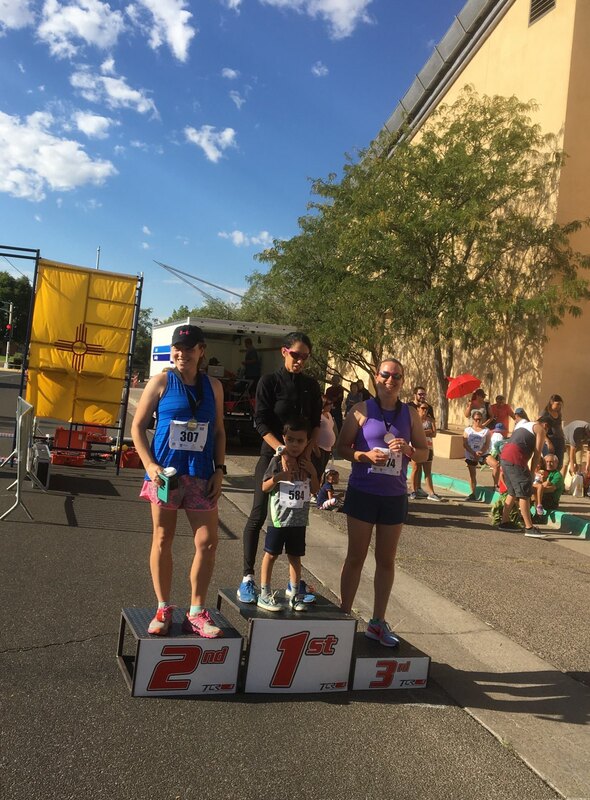 We all stuck around for the awards ceremony – Yvette and I both placed 3rd in our age groups! And there was a podium to stand on. Life Rule: Do not. Ever. Turn down the chance to stand on a podium. Our group closed out the morning by going out to breakfast, where we stuffed our faces, drank buckets of coffee, and gave Caroline her first taste of pancakes. She appeared satisfied. Happy fall racing season, everyone!